Kowloon Junior School (KJS) is an ESF international primary school. KJS is a large five-form entry school with 900 students. Our new building provides us with incredible learning spaces including a gym, media suite and dance studio. 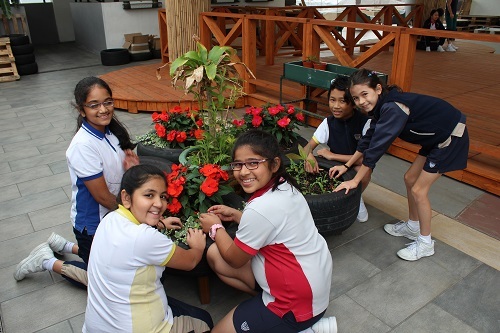 Students and teachers are currently working on a project to redevelop the outside spaces, following our aim to give the KJS community inspiring outdoor spaces in which to learn and connect with nature. The school’s Vision of ‘Success for Every Child’ permeates all levels of the school organisation. 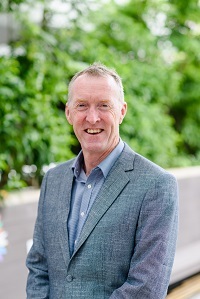 Part of the school’s mission is to provide a ‘safe, supportive and caring environment where beliefs and values reflect a respect of cultural diversity’. Teachers take time to really know their students, personalising learning goals and ensuring they are active participants in their learning process. Our Learning Enhancement Team provides excellent additional support for students with additional needs. KJS works within the PYP framework which allows the school to incorporate the best educational practice from around the world and places a great deal of emphasis on developing international mindedness; positive learner attitudes; and shared educational and personal values. Several aspects of life at KJS will stand out if you could take some time to look through our school’s website. First and foremost you will notice the photographs of happy and confident students who genuinely enjoy coming to school; and who are enthusiastic and motivated about their learning. In addition you will recognise the tremendous commitment and dedication of the KJS staff to providing the students with the highest quality learning and teaching experience, within a caring and supportive environment. Finally, you will realise that the school has excellent relationships with the community including strong home-school links. This association is long established and built on a strong foundation of mutual trust and respect.